Don't have time to spend defining the job and developing Performance Profiles? Get over it—fast! 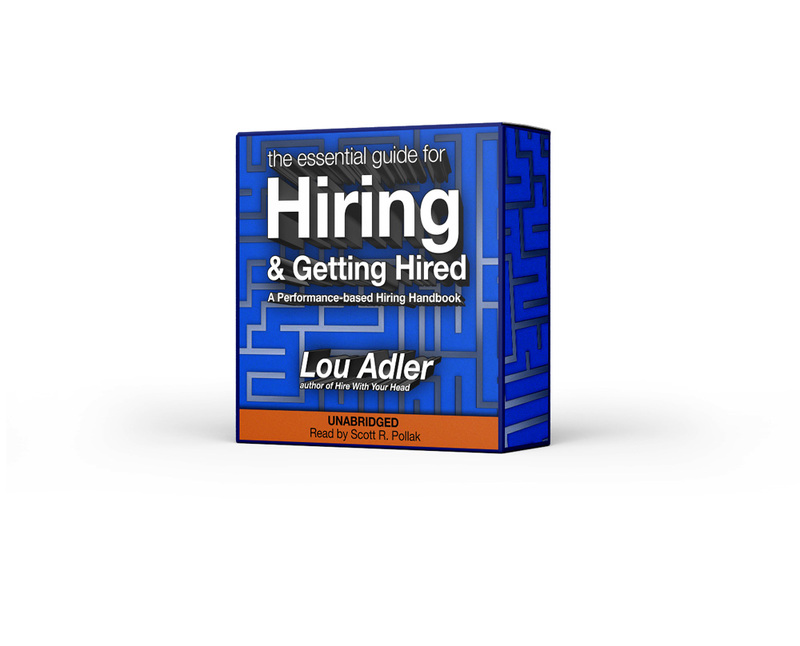 The Essential Guide is the key for reaching buy-in with hiring managers and getting candidates prepped. Understanding how the hiring process works will help you get the job you deserve—and help your new company reach new levels of success. It's about “doing” the work required, not the “having” of a series of qualities that can be checked off a list. Methods, concepts, checklists and charts that help smooth your path through the ongoing revolution in hiring. The book includes a legal survey of Performance-based Hiring by David Goldstein of Littler Mendelson, the largest labor firm in the U.S.
©2013-2019 WORKBENCH MEDIA, All Rights Reserved.